UK landscape artist Kane Cunningham is planning to rig his new home with cameras not to film the stunning views of the North Yorkshire coast but to document its imminent destruction. Sitting precipitously close to the edge of a cliff, the house could fall off at any moment. Coastal erosion has already eaten away most of the garden. 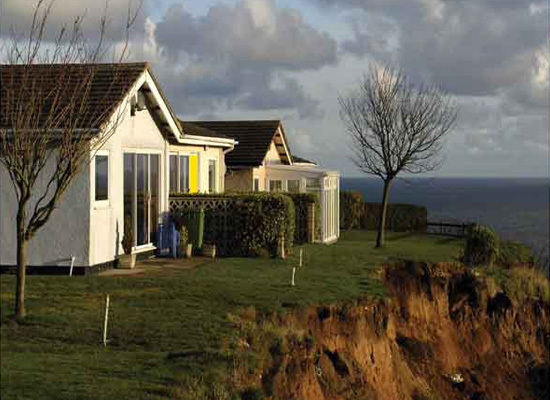 Some nearby houses were similarly threatened but were condemned and demolished in advance of the migrating cliff edge. Cunningham, however, wants the climate-changed sea itself to devour his bungalow. “It’s global recession and global warming encapsulated,” adds the artist.